Ginger Fairbanks is a recording artist, arranger and producer. She has released two studio albums since 2004, Sabbath Impressions and Solace. Her recordings have over a million views on Spotify. Even as a young child, Ginger has had a special love for sacred music. Her father, grandmother and great-grandfather were all members of The Mormon Tabernacle Choir (now The Tabernacle Choir at Temple Square). She remembers sitting behind the glass in the “kid section” of the historic Tabernacle on Temple Square listening to the choir. The desire to arrange and perform new versions of sacred hymns came while serving as organist for her local church congregation at the age of 12. 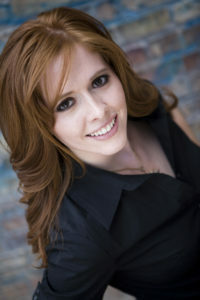 Ginger received her Bachelor’s Degree in business management from Brigham Young University in Provo, Utah. She worked in the communications office of Governor Jon Huntsman and Governor Gary Herbert. Before “retiring” to raise her children, Ginger also worked at a Salt Lake City-based marketing & communications firm, managing accounts including Utah Symphony | Utah Opera, University of Utah Health Care and Zions Bank. Ginger, her husband Kent, and their two children reside in Salt Lake City, Utah.